How exciting – this week we had a chat with Georgie Hallam, who designs gorgeous garments for the whole family, with a focus on fabulously functional clothing for children. To see all of her patterns, click here! Hello Georgie, we are so excited to get to speak to you today. Tell us a bit about yourself! I’m an Australian and lucky enough to live in a part of the country that is by the ocean but is also quite a temperate climate, so while we do experience a winter (no snow or even frost though) our summers can be extremely hot with the fear of bushfires ever present. Our family is both creative and outdoorsy, so we spend a lot of time making: be it knitting, sewing, music, drawing, constructing; or moving: in the ocean, on our bikes or in the bush. We also love to camp! I made the decision when we had our first child to give up my career as an English teacher, so that I could be fully involved in the day to day and not have to live in the constancy of the rush of juggling work and kids. It was a great decision for us and I’ve never wanted to return to teaching, I’d hate to give up what I have with my kids; the simple joys of riding to school every day together, being able to help out in their classes, the time we had together to just exist when they were small. Knitwear designing has fit into that decision so well. I have the flexibility in my day to both work and be involved in their lives. When and why did you start knitting? I’ve always knit, I can’t really remember a time when I didn’t knit. My mother taught me and I guess I started because I wanted to do what she was doing. Luckily, she let me invade her wind-down time at the end of the day and persisted in teaching me, which she says wasn’t the easiest of tasks. I’m a left-hander so co-ordination as a small child wasn’t always my friend. I used to design and knit clothes for our dolls as a kid and I’d write the patterns down in a little notebook. I really wish I’d kept that notebook. As a teenager, I knit fingerless gloves for my friends and a couple of giant cardigans for myself. I’ve knit intermittently as an adult, even making two boyfriend jumpers with no resultant curse. It was really with the birth of my first child that I became more passionate about knitting again. Both my children have been easy babies, so I’ve been blessed to have the time to indulge in craft while they were small. I spent a lot of time both knitting and sewing. In fact, I think I had more time for crafting when they were small children than I do now that they are at school and the dreaded after-school activities/sports pull us in all directions. What drew you to designing for children? It was purely accidental and almost out of necessity. I had this amazing skein of gradient dyed yarn way back in the days before gradients were common. I wanted to knit my daughter a dress but couldn’t find a suitable pattern that would work for the yarn without interrupting the flow of the colours. A couple of knitting friends encouraged me to make one up. I took what I knew about top-down raglans and spent a lot of time ripping and re-kntting before I came up with the Rainbow Dress. And I guess, that was it. The bug bit and it just seemed more obvious to write my own patterns. What is your most popular pattern? Without a doubt, Milo. I am still a little overwhelmed with how popular it has become. Which of your patterns would you recommend for a fairly simple project, and for someone looking for more of a challenge? Gidday Baby is a great starter as an introduction to circular knitting. I released it as part of a Non-Mystery KAL and it has a series of blog posts that take you through each section of the cardigan and explains why things are done a certain way and has tips for perfecting the techniques used in the pattern. (Check out this KAL: part 1, part 2, part 3, and part 4!) Milo is also used my many yarn stores as an introductory pattern for circular knitting. I try to ensure my patterns aren’t too complicated, so that they can easily be put down, forgotten about and picked up again a week later. A lot of the knitters who use my patterns are busy mothers trying to steal a little bit of “me time” in the juggle of parenting. I like my instructions to be concise yet thorough, as I think when you’re busy it’s easy to lose your place in a complicated pattern if you put it down for too long. Having said that, I’d say the most challenging patterns I have written would be Olinda and Posy, because they both require the knitter to be able to read their knitting and the stitch pattern they’re working with. I’m constantly surprised at how many knitters, quite often those who have knit for tens of years, simply don’t have this skill. Above: Gidday Baby – FREE pattern! What would be your three tips for someone looking to start designing his/ her own patterns? I’ve taught a number of beginner designing classes and I think it comes back to following.1. Be brave and bold! Just put yourself and your ideas out there and let them see where they take you. 2. Be patient. Don’t expect to be an overnight success or your patterns to sell immediately they are on the internet. Building any business takes time. There is no guarantees of success – it’s a hard reality but one you need to be aware of. 3. Enjoy what you do. Design because you feel a drive to do so, it’s something that you feel you want to do for the enjoyment of the craft or creating or even the buzz of the mathematics. If it’s about the money or the fame, then this probably isn’t the career for you. I have a bit of a backlog of a pattern samples and half written patterns, mostly because I’m too easily distracted by new ideas, so I’m trying to get those up and finished. Hopefully, it won’t take too long as they’re already part done but I am having to constantly ignore the lure of the shiny new ideas in my head and make do with some sketches. I’ve just finished up a 4ply version of the milo pattern, that has been released in baby sizes including three preemie sizes. I’m also working on a few secret patterns for a couple of yarn clubs that will be held later in the year. I would have to be an Australian yarn, and given I was born in a town named after the man who brought merino sheep to Australia, I’d say a good Australian merino, like White Gum Wool Ethical Superfine Merino. I like the care taken in the production of this yarn, and the maker of this yarn and I share similar ideas about environmental concerns. 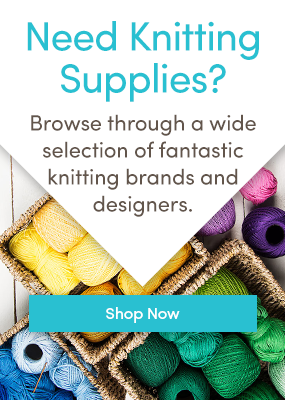 To purchase the designs featured here: click on the image of the design you wish to purchase; this will take you to the page where you can add the downloadable pattern to your basket. You can then continue shopping or check out using the normal checkout process. Happy knitting! Last updated: May 27th, 2015. Sollte die e-mail nicht richtig ankommen kontakten Sie mich bitte. wenn Sie am Bildschirm auf die Bilder klicken, gelangen Sie direkt zu den Anleitungen. Bitte beachten Sie, dass diese in Englisch geschrieben sind. do you have books that teach knitting to children ages 6 and up? Also do you have a knitting circle for adult women? Thanks in advance for your info.